Some of our bakers were up early this morning, putting their final details on these cupcakes for a corporate client. 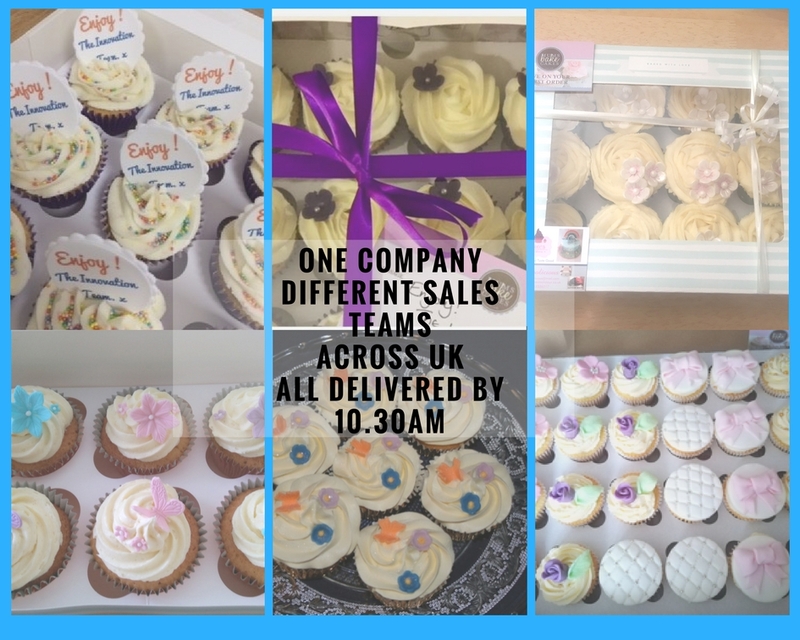 Numerous locations across the UK were receiving cupcakes which were all being delivered fresh and had to be there by 10.30am. By 10am the messages were in from all locations that the 'eagle hand landed!' and the cupcakes had all been delivered safely. Take a look at the variety that was delivered. Not one cupcake looked the same as the others- of course we could do 'mass produced' if needed but we were given free reign to make each department feel special. A Global international company finding a way to support local businesses up and down the country. A way to motivate sales teams to ensure they felt special and appreciated. Mums Bake Cakes is the ONLY UK wide company offering this unique service, where tasty treats can be delivered by hand from the baker that made them. Have your logo on them, have a bespoke message, have your corporate colour, choose your favourite flavours, cater for the allergies in your team, show your team you REALLY do know them- even down to their favourite cake! Find a reason to recognise staff, Find a way to Thank customers for the contract, Find a way just to show you care. No one gets offended with cakes, cookies, scones or biscuits. Let us do the 'leg work' and find what you need! Then lets us deliver by hand to the areas around the UK. SUPPORTING LOCAL FROM GLOBAL...GIVE IT A GO!